Countown to October 19th - help us meet our goal! 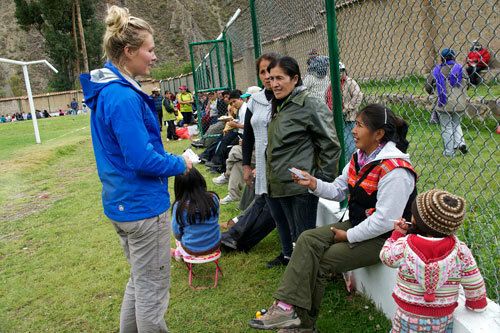 This past Saturday, Awamaki’s Education Coordinator, Suzanne, joined the crowds watching the a women’s soccer game with a different type of goal in mind: to recruit for the new Spanish Teachers Co-op. 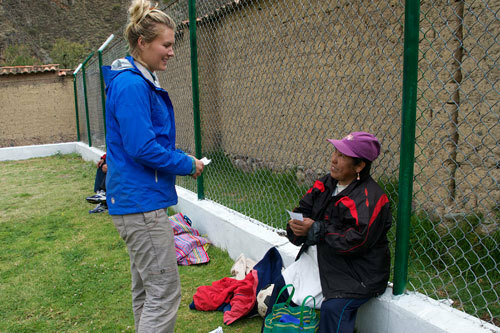 Many of the players have expressed interest in becoming Spanish teachers – a career that would allow them to secure an income substantially more than the average Peruvian minimum wage and positively impact many Ollantaytambo families. 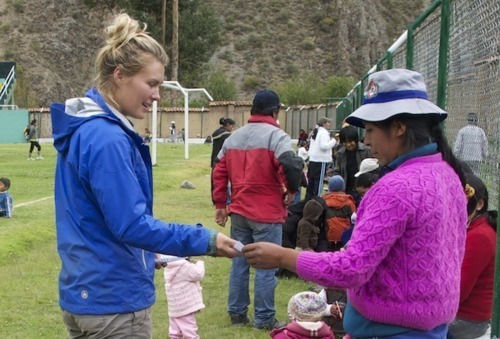 Even a gift of $10 goes a long way in helping Awamaki fund this life-changing project! Don’t forget to make your gift count even more by waiting until October 19th to donate, and have 30% of your gift matched by Global Giving – so bookmark the link below, and help us meet our goal! Help fill this empty classroom!